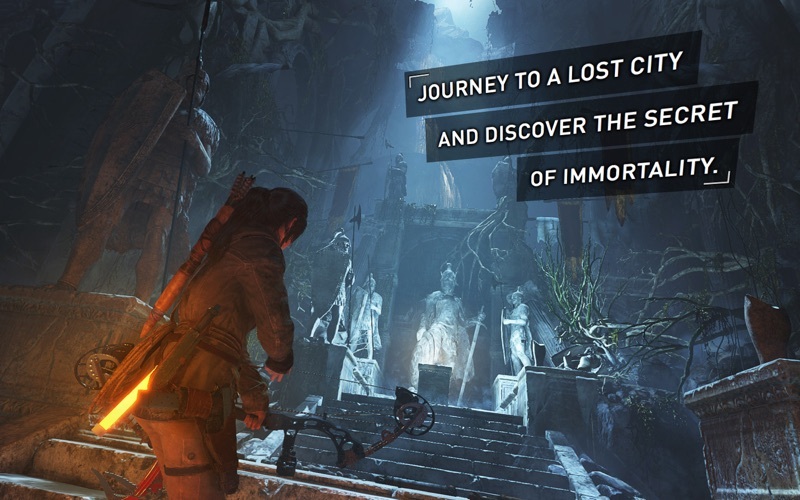 In the breathtaking sequel to Tomb Raider, Lara Croft becomes more than a survivor as she embarks upon her first great expedition to explore the earth’s most ancient and remote regions and uncover the secret of immortality. 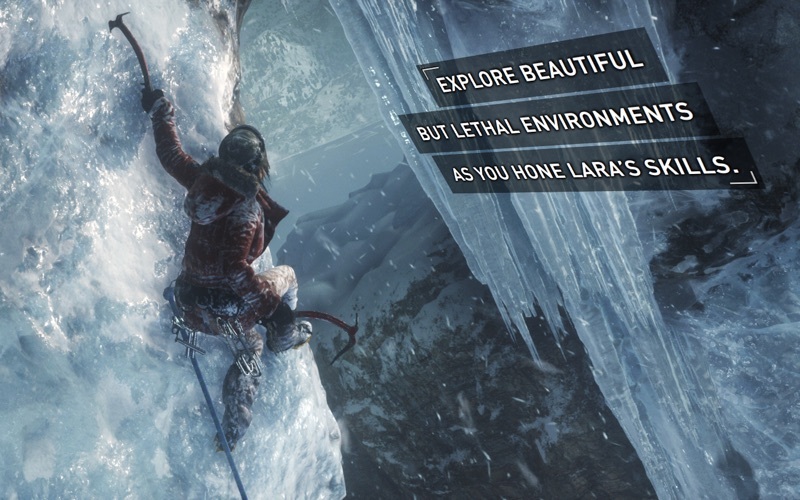 Harness Lara’s growing talents in a dramatic action-adventure ranging from Syria’s sun-baked ruins to Siberia’s frozen mountains. 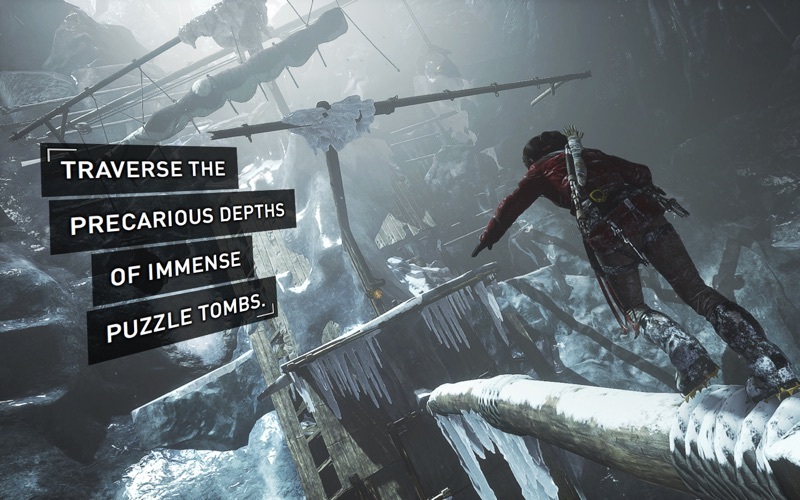 Play as the young archaeologist as she conquers tombs, outpaces rivals, and establishes her legend. 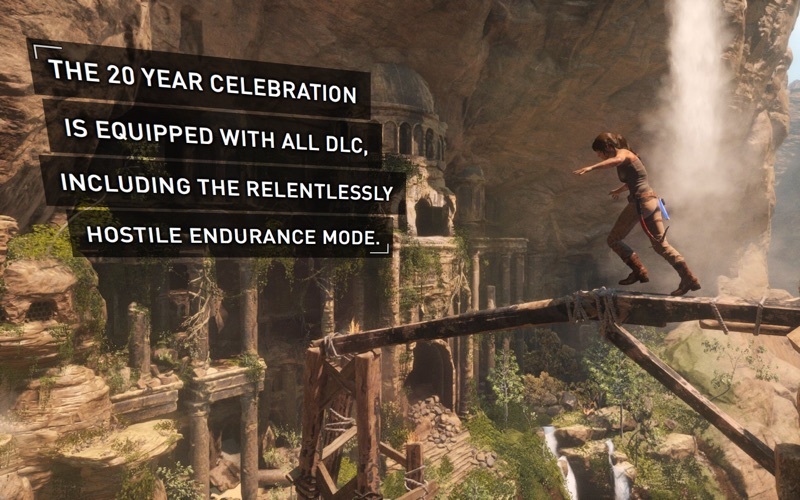 Rise of the Tomb Raider: 20 Year Celebration equips the base game with its entire collection of DLC. 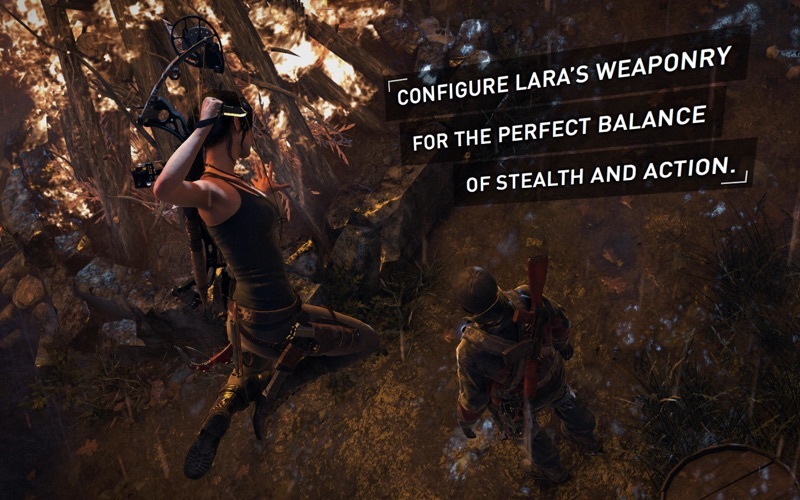 Uncover the secrets of Croft Manor in Blood Ties, find the truth behind a mythic terror in Baba Yaga: The Temple of the Witch, prevent a lethal outbreak in Cold Darkness, and face waves of supernatural enemies in Lara’s Nightmare. 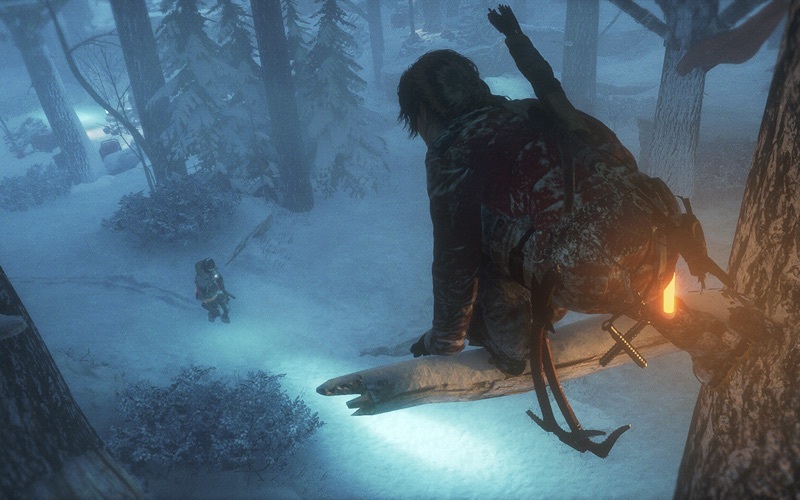 In Endurance Mode, survive the harsh Siberian wilderness alone or co-operatively with another player. ◦ All 21.5" iMacs released since Late 2013 with a 2.3GHz processor or better (models with an Nvidia 750M graphics card are not supported). 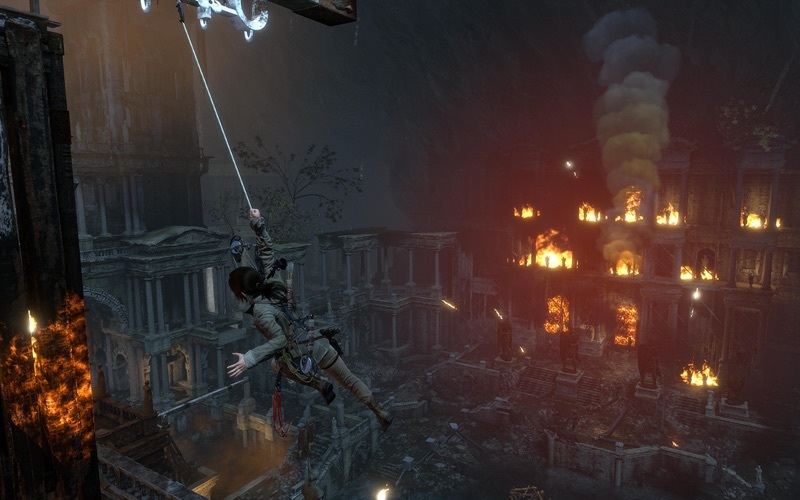 RISE OF THE TOMB RAIDER © 2018 Square Enix Ltd. All Rights Reserved. 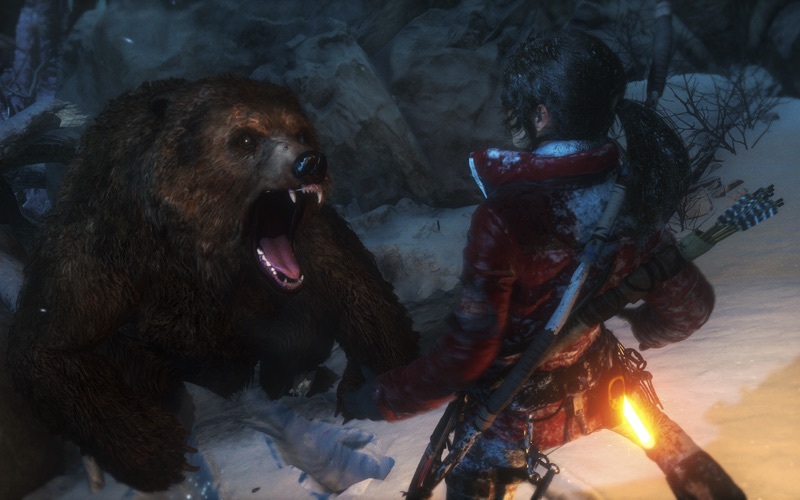 RISE OF THE TOMB RAIDER, TOMB RAIDER, CRYSTAL DYNAMICS, the CRYSTAL DYNAMICS logo, EIDOS, the EIDOS logo and LARA CROFT are registered trademarks or trademarks of Square Enix Ltd. SQUARE ENIX and the SQUARE ENIX logo are registered trademarks or trademarks of Square Enix Holdings Co., Ltd. 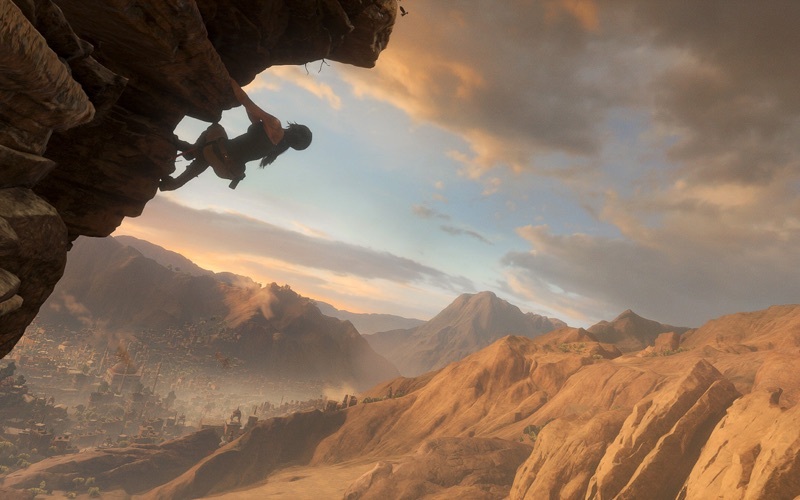 Developed for and published on macOS by Feral Interactive Ltd. Mac and macOS are trademarks of Apple Inc., registered in the U.S. and other countries. 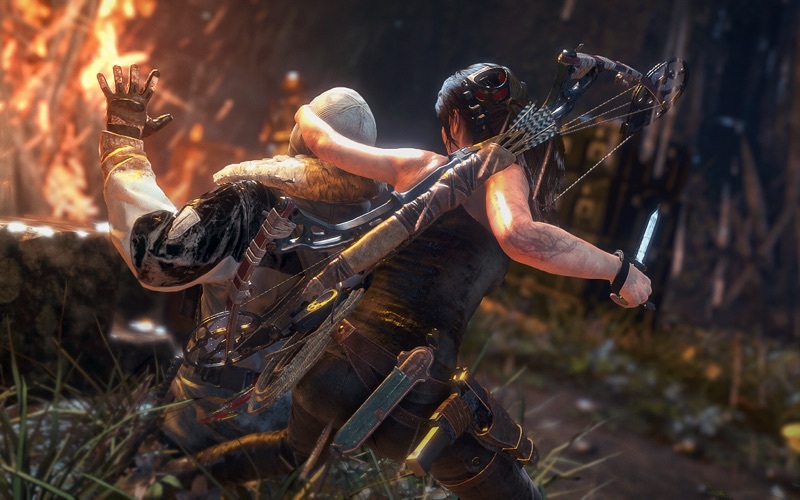 Feral and the Feral logo are trademarks of Feral Interactive Ltd. All other marks are property of their respective owners. All rights reserved.